What makes it great: Innovation colossus Google tops our list again as the most popular employer among business and engineering students alike. In just the last year, Google tested delivery drones, made a $50 smartphone and got closer to making self-driving cars a reality. While a diversity report this year showed that Google, like many of its Silicon Valley brethren, is overwhelmingly white and male, the tech giant says it's working to recruit more diverse talent. 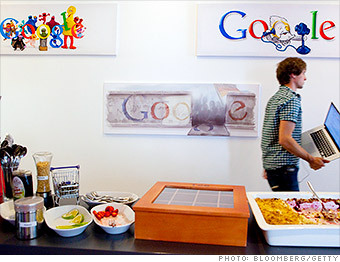 And the ample space Google offers for fresh ideas -- as well as perks like on-site healthcare, concierge service and endless free food -- continues to attract a steady stream of tech trailblazers to its door. What they're looking for: "Googlers" are people that want to "do cool things that matter," according to the company's career site. Roles in design, sales, finance and other areas are available to smart and determined people with avid personal interests. Leaders with stellar problem-solving skills and technical prowess will excel here.